Replacement Keys Ltd - The fast online key cutting company. We use the latest electronic key cutting machinery and software to replace and duplicate keys with the highest precision. We cut many different keys from codes including locker keys, filing cabinet keys, desk keys, door keys and many others. Search for your key code above and if you can't find what you need or if you're unsure which key to order just email us a photo of your lock or key. Free UK Recorded delivery on all orders over £20. Orders made before 3pm are typically processed the same working day. Our website is secure, fast and easy to use. 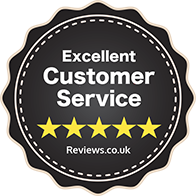 We have over 23,805 independently gathered reviews. Posted 3 hours and 9 minutes ago. Posted 3 hours and 22 minutes ago. Posted 5 hours and 30 minutes ago. Posted 15 hours and 34 minutes ago.